The Uffizi Gallery (Galleria degli Uffizi) is Florence Italy's premiere art gallery. The museum houses an amazing collection of paintings by the Italian artists Raphael, Caravaggio, Rubens, Titian, Giotto, Leonardo and Michelangelo. These paintings date from the 13th to the 17th century. The gallery also features works of art from Holland, Spain and Germany and includes gothic, early renaissance, high renaissance and mannerism styles. Visitors to the Uffizi who arrive without reservations can expect to wait several hours to get into this popular museum. 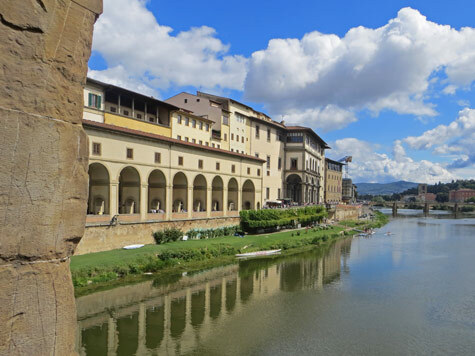 It is advisable to make a booking well before your arrival in Florence Italy.